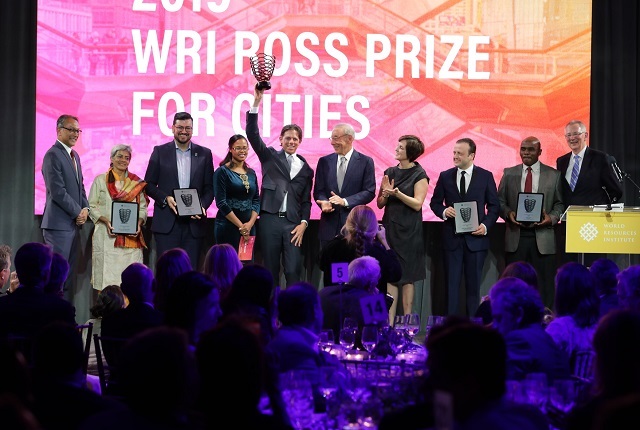 The inaugural WRI Ross Prize for Cities, a $250,000 award celebrating and spotlighting urban transformation, was awarded to SARSAI on Wednesday for its incisive, easily replicable and highly impactful approach to creating safer journeys to school for children in Dar es Salaam and other African cities. 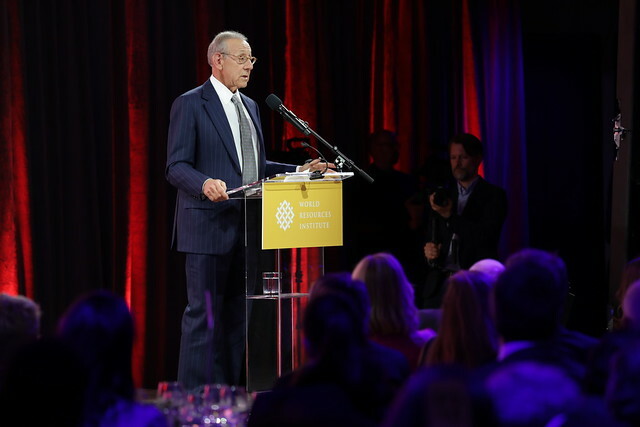 The award was given at WRI’s Courage to Lead dinner, hosted by CNN’s Sanjay Gupta in New York. 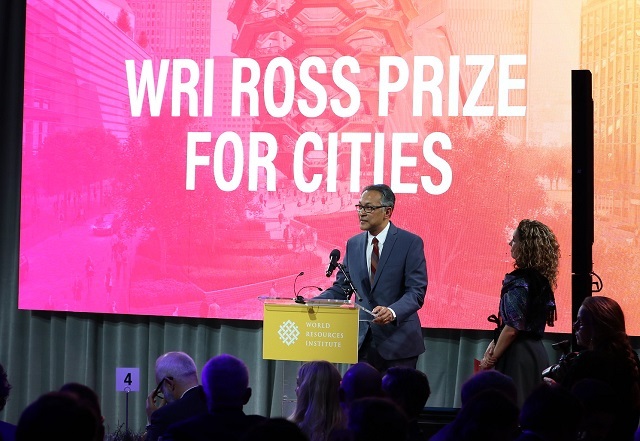 The prize is sponsored by business leader and philanthropist Stephen M. Ross, chairman and founder of Related Companies and a WRI Board Director. SARSAI was chosen by a world class jury of experts after emerging from among 200 applicants. A program of the non-profit Amend, SARSAI (School Area Road Safety Assessments and Improvements) is using data to pinpoint the most at-risk school areas and implementing inexpensive but impactful safety changes, like adding speed humps, sidewalks, bollards and creating safer routes. These measures separate children from traffic and slow traffic speeds where children and traffic must interact. The result is safer trips to school and more pedestrian-friendly urban design. 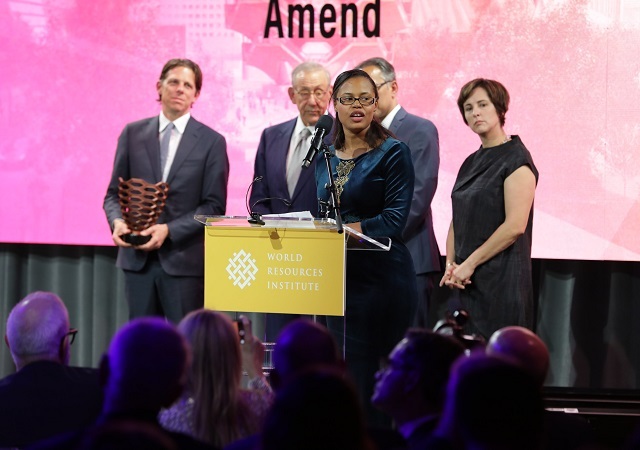 The program has benefited 38,000 children in Dar es Salaam to date, and its highly replicable model has allowed Amend to expand from covering just two schools in 2012 to more than 50 school areas in nine countries across sub-Saharan Africa today. And the preservation and co-creation of Warwick Junction in Durban, South Africa, by the nonprofit Asiye eTafuleni (AeT). By helping informal workers engage with formal city decision-making processes and collaboratively designing infrastructure changes, AeT has turned the informal marketplaces of Warwick Junction into the gateway to a more inclusive city.